Hire the top 3% of freelance valuation specialists. 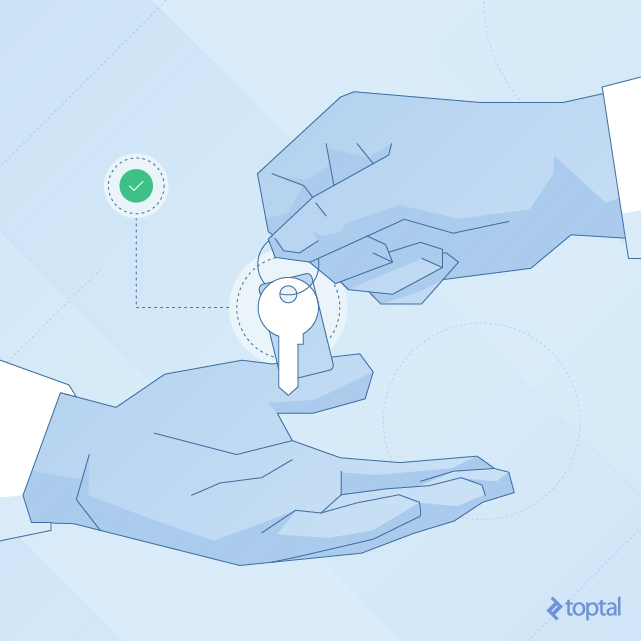 Toptal is a marketplace for top valuation specialists, consultants, and experts. 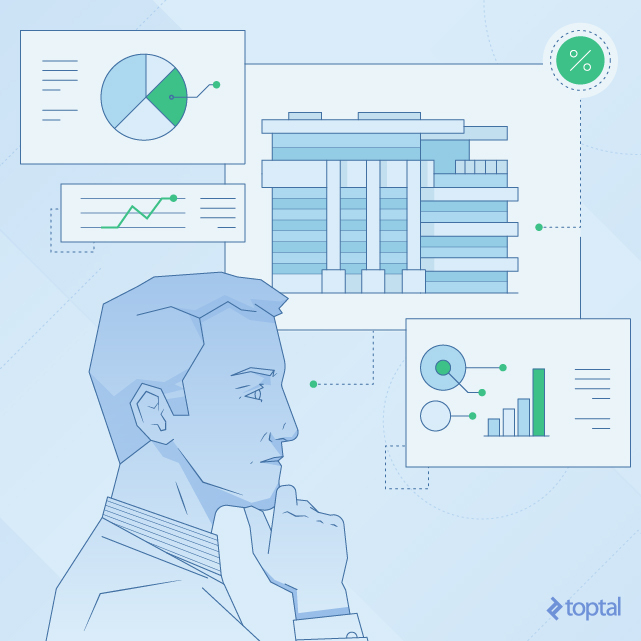 Top companies and start-ups hire valuation freelancers from Toptal for their mission critical projects. Valuation can be the final hurdle before selling your business or a necessary confidence-booster when seeking to raise capital. At such critical stages, having the right valuation expert on board can make all the difference. This guide highlights how the right hire will approach each valuation as its standalone task, using the right inputs and choosing the right method to deliver the most accurate value. 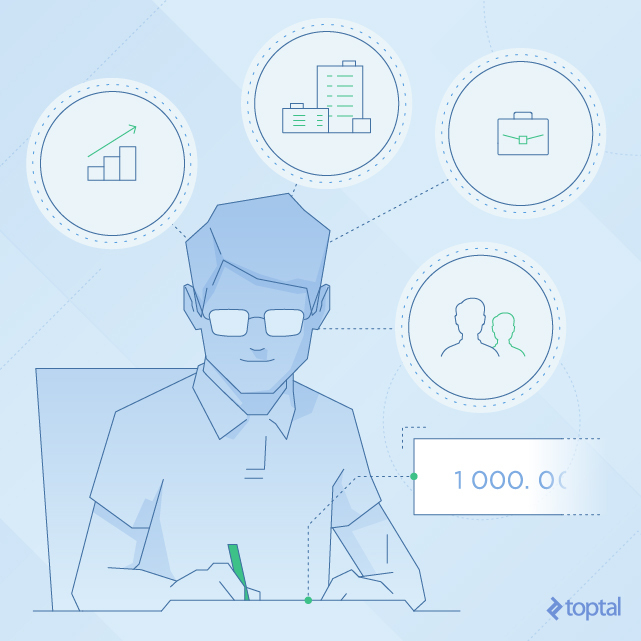 Toptal is a marketplace for top valuation specialists. Top companies and start-ups choose Toptal finance experts for their mission-critical finance projects. As an investment banker and now the head of a financial modeling team at S&P Global, Kiel has advised and built thousands of models for clients ranging from investment banks to small corporations. He has experience in various models and modeling techniques—with an emphasis on valuation, projections, and competitor analysis. Due to his experience in financial modeling, Kiel served as a judge in the first ever Financial Modeling Championships. Jake has participated in M&A transactions exceeding $500 million and performed valuations for companies of all maturities. A Vanderbilt graduate and CFA charterholder, Jake has extensive experience working with founders and senior executives of professional services and manufacturing companies to unlock the true value of their company. As a freelancer, Jake enjoys advising clients on complex issues of valuation, M&A, and financial strategy. Jeff has advised dozens of companies through corporate finance transactions including raising venture capital, mezzanine debt, and M&A. He also has experience in corporate development, equity research, and financial analysis. Jeff is freelancing in order to utilize his extensive experience with middle market and early-stage companies to offer assistance in helping them prepare for a transaction or providing them with overall strategic guidance. Ranked #1 by Institutional Investor for his coverage of EMEA real estate, Patrick has covered the US and emerging market stocks for 12 years with his HSBC team (ranked #1 for five consecutive years for their Middle East coverage). He has experience in real estate, consumer goods, and business services sectors. Patrick graduated from Wharton and was a CFA charter holder. He joined Toptal to help clients with equity research and financial analysis. After executing complex debt and corporate finance transactions for leading Wall Street investment banks (Deutsche, Bank of America) and accounting firms (PwC), Cedric is now concentrating on financial strategy consulting. 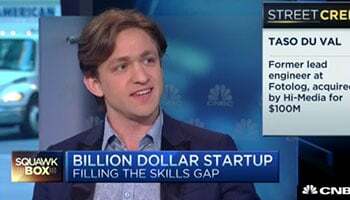 As a freelancer, he works with entrepreneurs and investors who are interested in capital structure optimization, capital raising, valuation, and financial due diligence. At Coca-Cola and Bunge, Fernando has evaluated investment propositions in excess of $1 billion in the agriculture and food & beverage industries. He also brings more than eight years of experience in investment valuation, financial planning & analysis (FP&A), and corporate finance. Fernando joined Toptal as he enjoys providing insightful analyses to support decision making processes for companies across all maturities. Selling a business is like crossing the finish line of the longest and most arduous marathon of your life. Getting paid to pass your business on to its new owner is the ultimate reward for your brilliant idea and the right valuation expert will ensure you don’t stumble across the finish line. Naturally, establishing the value of a company is not always done ahead of a sale, it can be done ahead of a new round of fundraising, when preparing for an IPO, or even as an internal assessment. However, in any of these situations, having a firm grasp of your business’ true value and how each input influences that value will go a long way when building a pitch or facing a potential investor. A funding round or sale process can be a stress test for a company, allowing a valuation consultant to provide some needed bandwidth. This guide aims to help you find the right expert, highlighting the various methods on offer, the particular skills a professional valuator needs to add real value, and how to assess each skill in turn. Valuation is tough because it’s not an exact science. No two companies are precisely alike. Each business owner will have a unique scenario. While there are plenty of valuation methods a candidate or business can choose from, here are the three most popular choices. Each of these applies differently to specific contexts and the one a candidate will choose depends on the relevant facts of each unique case. Taking the example of performing a valuation on a distressed company, the first thing a candidate must decide is whether the company’s value should be derived as a liquidation value or a going-concern value. This two-step approach derives a distressed company’s enterprise value (EV) from the EV relative to the earnings potential that the market has assigned to each of its peers. First, the candidate must calculate a financial performance metric for the debtor, such as normalized earnings before interest, taxes, depreciations, and amortization (EBITDA). Second, they must determine the multiple of a healthy comparable company’s market assigned EV to its corresponding EBITDA. Together, these two inputs are multiplied to calculate an EV estimate for the distressed company. This approach poses a number of risks that should be screened for in a candidate:. Are they choosing the best debtor performance metric? Are they basing their valuation on the right financial performance period, given the debtor’s current financial situation? Are they comparing companies that are truly relevant to the distressed company in question? What has convinced them these comparisons were the right choise? question. What approach are they taking to normalizing EBITDA ahead of valuation (non-arms-length revenue, start-up costs, inventory, etc)? Rather than derive the EV from market-assigned EVs, this method attempts to calculate the bankrupt company’s EV from the prices paid by purchasers in recent acquisitions of comparable companies. Complications may arise when deciding which transactions involved comparable companies and adjusting for any control premium which a buyer may have paid. Typically, this approach should be utilized to verify valuations obtained by other methods due to the singularity of each transaction. Last but not least, the DCF approach generates the EV based on the present value of a company’s projected cash flows. To calculate EV, first the candidate will need a five-year projection of the company’s cash flows. These cash flows will be then discounted back to present value using a weighted average cost of capital (WACC). Second, the candidate should calculate a terminal value by applying the EV multiple or perpetual growth rate to the final year of projected cash flows. Lastly, the terminal value should be discounted back to the present using the WACC. The amount is then added to the present value of the projected near-term cash flows to derive the EV of the company. The difficult part is choosing the correct inputs for this approach. Which method should they use? All of the above approaches may not be equally useful for every case. And there may even be additional suitable methods, depending on the relevant facts and unique situations. U.S. courts tend to use multiple approaches in any given case to establish a sort-of checks and balances system. The comparable company and comparable transaction methods should be used together with the DCF method because the first two rely on data from outside companies while the DCF method yields a valuation generated from the performance of the company in question. Q: Lambda, a social network designed to link fraternities and sororities around the US, has seen its membership steadily rise to 20 million regular users but has not been able to turn a profit. How would you value a social network with revenue but no profit? What audience is the social network reaching out to? Who are their competitors and how is their offering different? What is their growth rate and which metrics are used to measure this? What stage of the business lifecycle are they in? What stage of funding are they in? How long is the company’s cash runway before additional funding is required? What does their capitalization structure look like? What is management’s plan for the company going forward? What is their exit strategy? What assets, technological or otherwise, have been developed that could provide value to others? After they ask some of the above questions, it’s time for them to give this imaginary company a valuation. They can do so using Comparable Companies and Precedent Transactions and looking at more “creative” multiples, such as EV/Unique Visitors and EV/Pageviews rather than EV/Revenue or EV/EBITDA. DCF wouldn’t be used for this question as candidates cannot sensibly predict cash flows for a company that isn’t even making money yet. Look out for candidates who try to predict cash flow anyway; they should be using other metrics. Q: Company A has $100M in excess cash and is looking to invest it in a capital expenditure project or a potential acquisition. Management is evaluating a handful of specific acquisition targets using DCF. What information would you need, and how would you guide management through the DCF process? In this situation, the candidate should be given or seek to obtain the following information. In the DCF Method, future expected cash flows are given a present value and discounted, usually through cost of capital. This is particularly useful for companies which anticipate wide variances in earnings growth over several years. A candidate should also demonstrate a clear understanding of how companies or investors measure whether an investment is worth it. Whether investors look at a net present value (NPV) or internal rate of return (IRR), DCF can provide an answer to both. The candidate should also ideally argue that DCF is to be used when a company’s earnings growth is different from year to year. For example, DCF is ideally suited to a company that is seeing high growth, allowing it to use its future cash flows in its valuation process. DCF, the formula for which can be found here, does offer one caveat, it is based on assumptions, not results. While a company can plan out its growth rates or dividend payouts very carefully, DCF does retain that element of risk, which the candidate should acknowledge. The importance of an accurate sensitivity analysis, to showcase how each variable has impacted the final valuation. Terminal growth assumptions will drive a large part of the final growth value, so any such analysis must be backed with clear justification for these assumptions. If done well, this valuation process will reveal a terminal value for a company at a point when growth rates stabilize and which will stand up to scrutiny. Q: Your client is a privately held $400M pharmaceutical company that needs to understand its valuation as it explores the option of an IPO. You need to both identify a relevant peer set amongst publicly traded companies. and assess the price earnings ratios of these companies in this set. How would you incorporate this into your valuation model? A valuation expert needs to be able to assess how comparable public companies are trading relative to their earnings (PE ratio), and apply that to the valuation model for this client company. This gives candidates a chance to tackle important questions about the company. Identify the most relevant competitors. They should look for other pharmaceutical companies that are producing similar products. Research their current market capitalization, and come up with a median PE ratio. Adjust expectations based on any specific nuances of the public company they’re trying to value. What differentiates this private pharmaceutical company from its peers and how do these differences adjust the valuation up or down? Examples of the latter include: - Are the company’s products seen as better or worse by the market? - Does it sell branded drugs, or only generic? - If it manufactures drugs, how would the valuation be affected by elements such as FDA approval? This evaluation adds some art to the science, by having candidates identify what makes a company unique and how it rates in relation to its peers. Q: You have built a DCF valuation for a $250M construction company. What would you look at in identifying the assumptions/inputs that the valuation is most sensitive to? Time horizon - DCF relies on finding a present value for future cash flows. Longer-term outlooks add uncertainty, particularly as they tend to trend upwards, to account for expected rises in interest rates, for example. Capex assumptions - Cash flow projections are also subject to swings based on capex assumptions. Capex is particularly hard to predict given its discretionary nature: e.g. management cuts a large planned investment or not in a difficult year. This can snowball, leading to small annual capex variations having a dramatic impact on valuation. Working capital assumptions - Mature companies can generally predict the future relationship between working capital and earnings while a young company might have built optimistic forecasts into its future cash flow. The candidate needs to identify these differences and account for them, to avoid complicating the model. Debt/equity ratio - Rates of return on debt and equity are likely to differ broadly over time, largely as the former is fixed at a set interest rate unlike the latter. Their evolution should be measured carefully for how they weigh into the valuation. Bias in a valuation process is an ever-present risk. An investment banker can provide a value his client wants to hear to get the deal done. Public perception of a brand can equally be a major drag factor on a valuation, albeit influenced by different factors. The right independent valuation professional must be able to see through any potential bias and focus their efforts solely on the business and its market pricing. Q: A company is looking for a valuation ahead of a potential acquisition after a successful product launch. However, its market perception remains affected by negative press reactions after repeated delays. How would you ensure this does not skew the valuation? When faced with this situation, a candidate should first understand where such pressures are coming from and seek to remove them from the equation. Many valuators may see such uncertainty as making their life harder and seek to dismiss it, choosing to rely on fundamentals instead. However, in scenarios where bias pressures are evident, the right candidate must proactively seek to understand them and how to account for them. What public statements have been made about the company by executives concerning its potential value? Is the acquisition contingent on a specific value being provided to the buyer? To what extent did the market reputation of the company spur the interest in acquisition, above and beyond its growth or revenue? What marketing and PR strategies have been rolled out to counter earlier bad press? Have these strategies been successful in reversing public perception, and how has this impacted growth expectations? Valuation experts must approach a company without preconceptions, they must base their models and findings on data. Experts should not try and please the client with a better valuation, it must be an accurate and fair model. The candidate should also turn to the market comparison approach here. Seeing the EV/EBITDA of competitors can provide a fair baseline for predicting where a company’s valuation should be and charting how much bias is dragging results one way or the other. One clear way to do this is to track similar incidents in the industry and quantify the extent to which negative PR impacted stock prices. Finally, beware of overly large models. When trying to adjust for something intangible like bias or public perception, some candidates may want to expand their models to account for large metrics. However, this can create its own domino effect. Complex models can rapidly lose sight of the fundamentals (cash flow, growth, and risk). Without a doubt, hiring the right finance professional to value their company is one of the most important decisions a business owner can make. True expertise in this domain requires deep understanding of the various valuation methods, both for their theoretical scope and their practical applications. However, this is not always enough. The right candidate should preferably also have extensive experience valuing similar companies, preferably in the same industry.